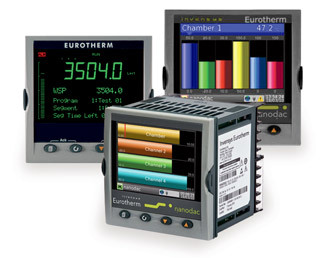  Temperature and Process PID Controllers with Auto-tune and computer interface option.  Digital Indicators with dual alarms and shutdown outputs.  UL, FM, CE Approved.  Supervisory control system and software.  Power Distribution and Load Management control.  Solid State contactor and SCR with digital communications options.  Circular and strip chart recorders.  Pressure regulators and switches.  I/P, E/P and P/I transducers.